阿尔及利亚500法郎 PMG XF 40。ALGERIA. Banque de LAlgerie. Allied Occupation WWII. 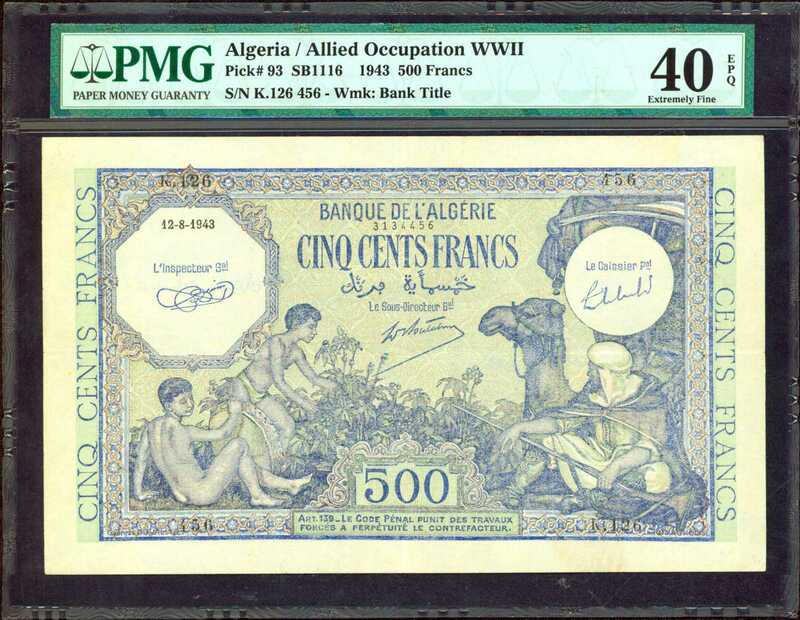 500 Francs, 1942-43 Issue. P-93. PMG Extremely Fine 40 EPQ.，A seldom offered item which is one of the few we can recall handling. The note shows with deeply embossed inks and fully original paper.，PMG Extremely Fine 40 EPQ.